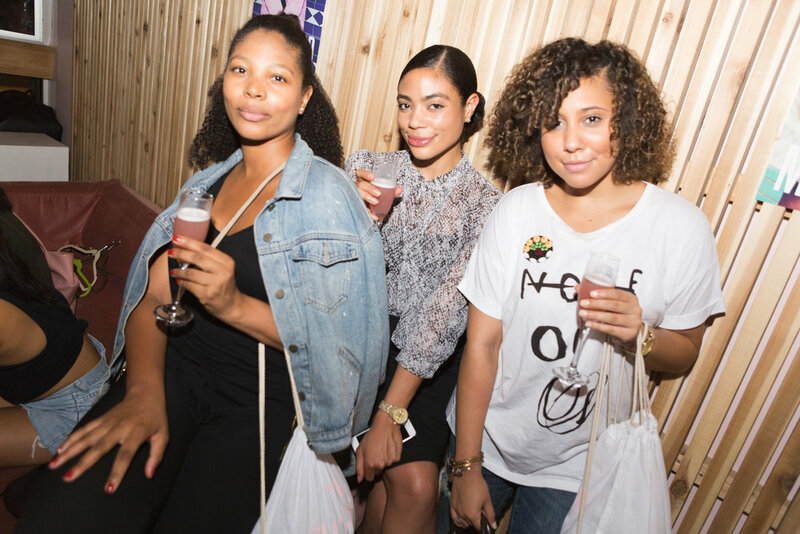 Last week, I got the chance to attend the 2nd annual Free Sh*T party hosted by Galore and Missguided. Yep, you read it right. From the exclusive Missguided collection of clothes, to the open bar, to networking with some well known Kitten Agency influencers + the Galore team, everything was FREE! While the free clothes were the main reason that we all came out that night, I really enjoyed getting the chance to mingle with everyone in attendance. Two of my favorite babes, London Zhiloh + Margie Plus were in attendance and they were EVERYTHING!!! Honestly, they were exactly how they portrayed themselves on social media, fun, outgoing and super cute! What I loved most was that they were real chill and down to earth and they didn't mind conversing. It was cool to be in the same room with some of my favorite influencers that I've looked up to for quite some time. I was able to ask them questions about the industry and get to know them outside of social media. Overall, the night was one for the books! Thank you so much Galore x Missguided for outdoing yourselves this go round. I had an amazing time and I look forward to many more events to come!